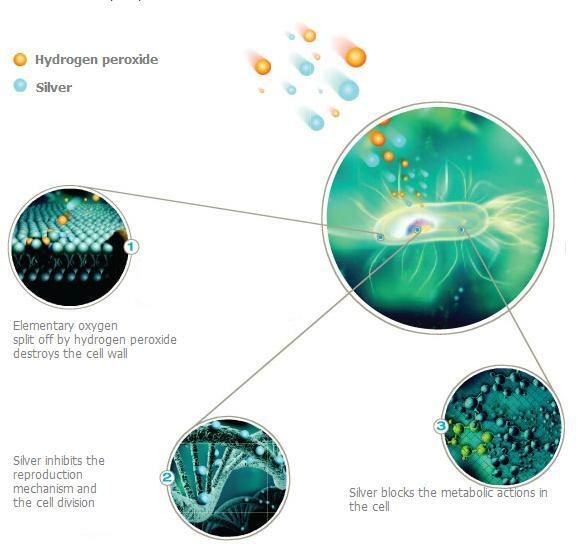 A synergistic blend of Hydrogen Peroxide (H2O2) and Silver (Ag+) ions. The combined effects of oxidization and oligodynamy have created a two-phase product capable of the destruction of biofilms. A biofilm is a thin layer of debris of biological origin, capable of colonization by a variety of microbials, which use it to gain protection from disinfection agents. This environment has proved an effective breeding ground for many microbial species. Inhibition of bio-films in the treatment of legionella. Economical alternative to “Super Chlorination”. Treatment of Water Storage Tanks. 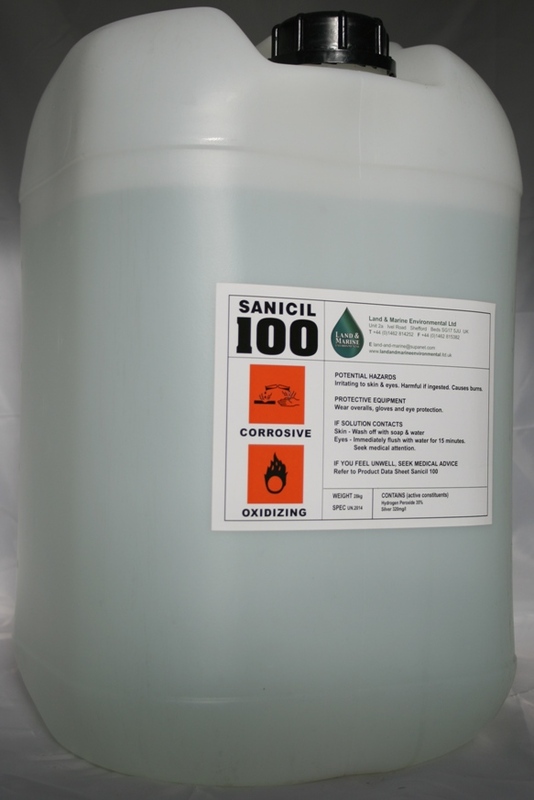 Sanicil 100 is supplied in 25 litre containers at 35% strength with 320 mg/l silver content. Generally applied 10 - 100ppm, approx 1 container per 100,000 litres.